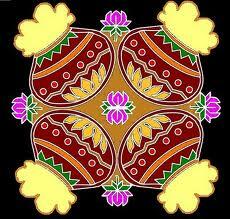 This is a free hand drawing kolam and there is no dot pattern for this. But we can make it with dots too. I have to put dots and find out the pattern and let you know.